When looking back on my career accomplishments, I am filled with a deep sense of satisfaction. I’ve been fortunate to be part of several stellar teams, and I”m grateful for the talented people I’ve met along the way. I’m also thankful for the teamwork that has allowed us to make a difference in the lives of so many people. Sometimes it is tempting to rest upon one’s laurels. But I quickly brush away those thoughts because they conflict with my long-held belief that my best days are yet to come. I fondly remember the good old days, and I also eagerly anticipate all that the future holds. Yet, I prefer to live in neither the past nor the future. I purposefully choose to focus on the vast abundance that surrounds me today. I am mindful of the countless blessings and opportunities that sometimes I’ve taken for granted. My past holds few regrets. The present is a gift to be experienced to its fullest. And the future is filled with abundant opportunities. The best is yet to come! Today, though, I pause to express my deepest gratitude to God, family, friends, and coworkers for enriching my life. I‘m always amused when someone asks me what kind of camera I use. The question implies that a good photograph must be the result of using a fancy, expensive camera. I daily use an expensive fountain pen, but using that pen does not inherently make me a good writer. Neither does shooting with an expensive camera make me a better photographer. A pen, a computer and a camera are all hardware. As important as they are, they will always be a means to an end. I first stumbled upon Duane Hallock’s photos on Instagram. His colorful bright pieces of all my favorite spots in Kansas City are beautiful. Having just moved back to KC after 13 years, I was seeing places that I had not seen since childhood, but now, seeing them with a wonderful new perspective through his pictures. 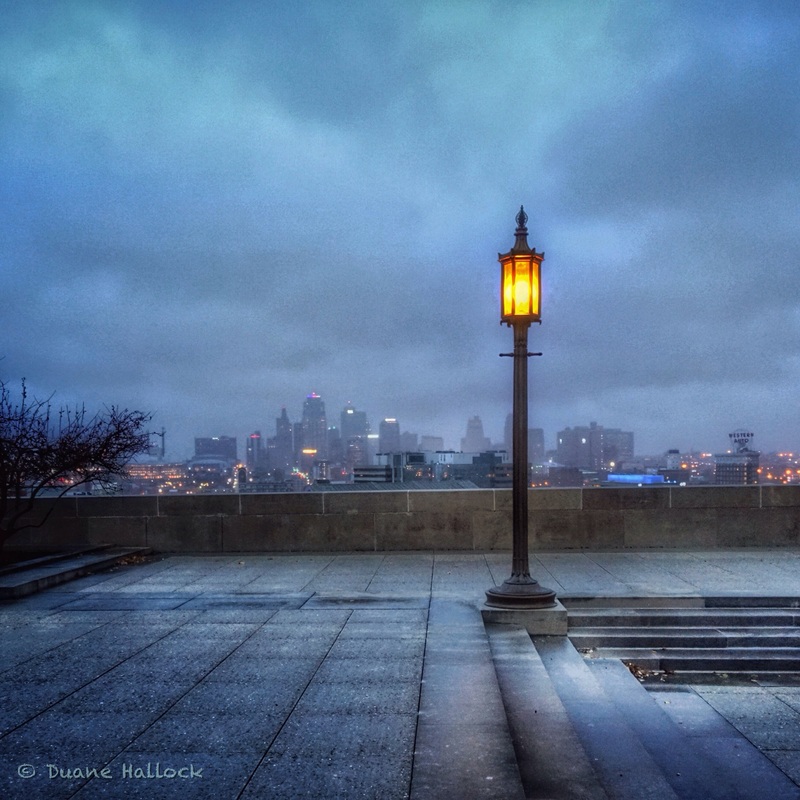 Duane captures these places, places, like the Nelson Art Gallery, the Plaza, West Bottoms, in different angles and light, showcasing the beauty of these sometimes taken-for-granted spots. I quickly followed Duane on Instagram and was happy to see that we were mutual friends with several people- his photos were spreading and at that time I hoped I would be able to find his prints. Last month, Duane launched his new website where now everyone can enjoy browsing and purchasing prints, canvases, and digital downloads. Duane started his photography hobby when he was in the 4th grade. He continued to hone his skills throughout his lifetime, taking photography classes throughout his education in college, but he found the classes too mechanical and continued his passion by finding a more artistic vision for his photos. Somewhere along the way, Duane lost his focus and “only shot the obligatory events like birthdays, graduations and family reunions” until a major, life-changing event took place. Duane developed melanoma and lost his eye-sight in his left eye. This changed his outlook and realized that as his eye-sight decreased, his vision increased. He sought out beauty in the ordinary around him and this beauty is now reflected in his photos. With his new website, he has one goal: allow people to see old things in new ways, and to become more aware of the incredible beauty that is often hidden in plain sight. 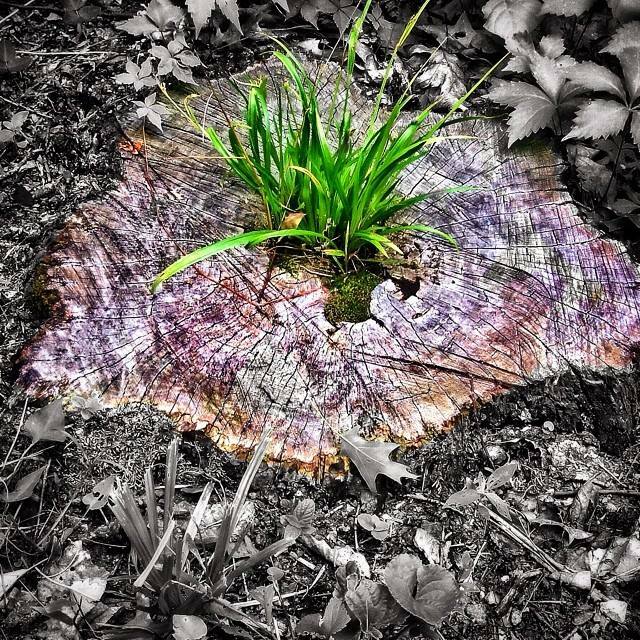 His photos are unique and highlight the extraordinary in the ordinary. 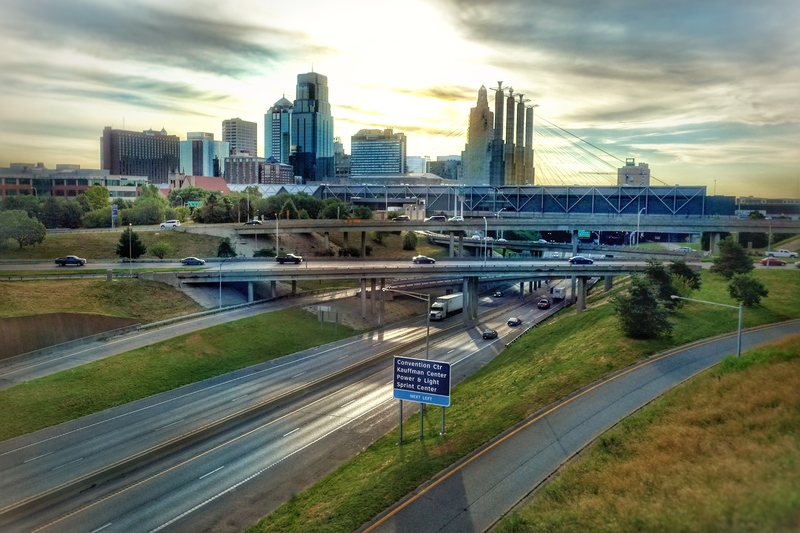 Though he grew up in Colorado and has lived in Tennessee and Oregon, he has seen many beautiful parts of the country, but states that he has “found nothing more beautiful than the subtle beauty of the KC metro area.” His photos, listed under Kansas City Favorites, reflect this beauty and he is now happy to share. What started as a hobby, became a passion and now a wonderful way to promote our great city and favorite spots! Follow Duane on Instagram, read more about him on his blog, and support this local photographer by purchasing prints at www.duanehallockphotography.com These photos are sure to make great additions to homes and gifts for those of us that love all things Kansas City! 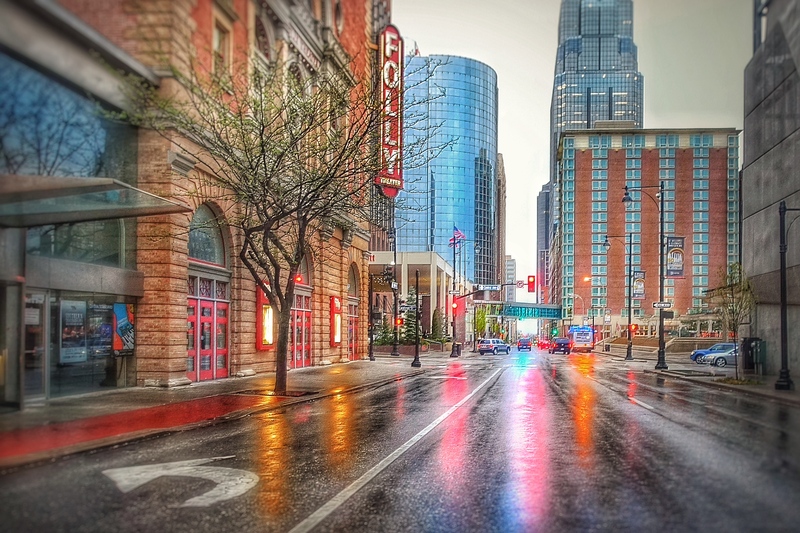 PromoteKC.com is a local website that promotes Kansas City and the surrounding region. It focuses on causes, local businesses, cool people, and fun things to do. In addition to being a contributing editor at PromoteKC, Hope Malone-McPheeters and her husband own a digital media company specifically designed to help small business, makes and entrepreneurs in KC with their web presence. Check out their website at http://digitalwebetc.com/. Hope is also the director of Ella’s Hope, a nonprofit whose mission is to promote autism awareness and support families affected by autism spectrum disorders. After five years of blogging, I took an extended break from posting on this site. It was not a deliberate decision. It just happened. During this time I still blogged, but I shifted from a verbal to a visual format, migrating from this WordPress platform to Instagram. Better engagement. When I began blogging, I thought this would be a good way to connect and converse with others. Perhaps it was my writing style, but I found myself posting monologues rather than engaging in conversations. In retrospect, I realize that most people are like me – they are more naturally drawn to colorful pictures than to columns of gray type. Too snarky. I realized my blog posts were starting to have an edge of cynicism and sarcasm. At work, I was enduring wave after wave of reorganizations that left most of us confused and disoriented. Many of my unpublished posts were written during this time of chaos. Those unshared writings were my attempt to make sense of what was happening. While they were cathartic, they were best left confined to the pages of my private journal rather than being shared publicly in a blog. Creative expression. The seemingly-endless corporate restructuring slowly sapped much of my creative energy. In this world, we each have a unique voice that gives us something to share with others. On a personal level, I felt compelled to expand my options for doing that. Photography provided a creative outlet that gave me renewed energy and purpose. Instagram provided a much-needed platform for my creative expression. Positive optimism. As my Instagram adventure progressed, I found myself focusing on the beauty in the world surrounding me. I discovered that within the ordinary I could always find something extraordinary. I’ve long believed that whatever one focuses on will expand. I chose to focus on the beauty surrounding me, and the more I looked for it, the more of it I found. Connecting, not dividing. Photography transcends the barriers of language, geography, politics, religion and other divisive elements in our world. Words are too easily used as weapons to divide and destroy. For me, sharing photos provided a way to unite and to build bridges where fences had once been erected. 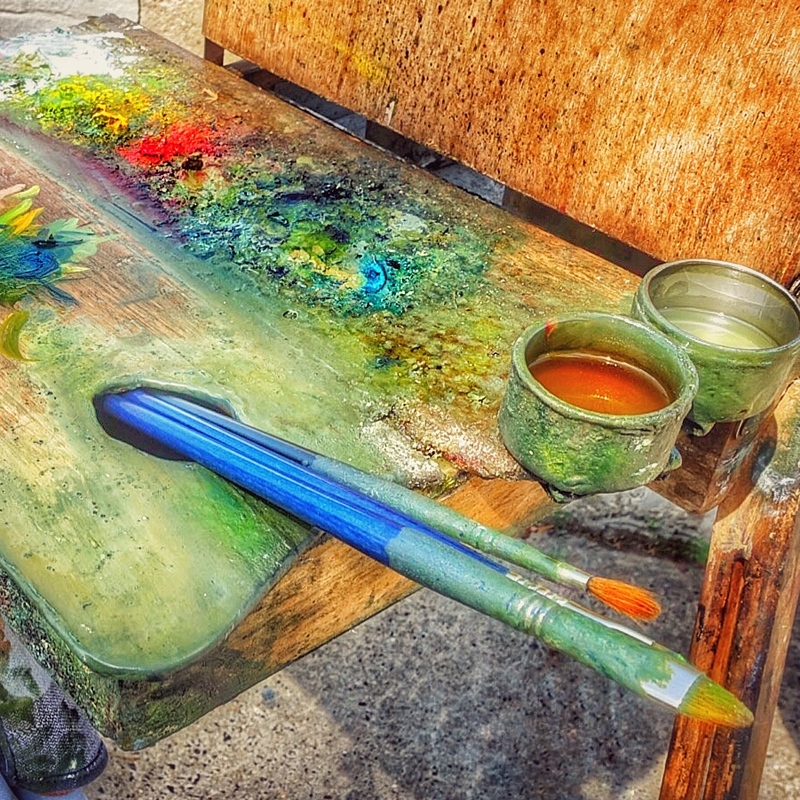 Writing and photography are not mutually exclusive. I will keep writing, and I also will keep snapping pictures. In the weeks and months ahead, I anticipate finding the appropriate balance between both. The renowned photographer Henri Cartier-Besson once said, “Your first 10,000 photographs are your worst.” If a picture is worth a thousand words, then, by my math, I believe that my first 10 million words will be my worst. I’ll keep plodding along, though. Do You First Notice How We’re Alike? Or Different? When you first meet someone, what do you first notice? Do you see ways we are different? Or do you focus on things we share in common? Collaboration. Instead of thinking win-lose, I am able to begin visualizing partnerships where we can create synergy. Through collaboration, we all come out ahead and are able to create something none of us could have achieved on our own. Confidence. When I refrain from needless comparisons, I am able to recognize and celebrate strengths and competencies wherever they are found—in me or in someone else. The non-competitive stance makes me more secure in who I uniquely am, allowing others to feel more confident in their interactions with me. Growth. I’m walking along the same “life path” as others, though perhaps we are at different places along the way. Our shared journey creates opportunities where we can learn from each other. We can encourage each other through the difficult times. We can grow together and reach new horizons. Isolation. The more I focus on the divisions that separate us, the higher the walls become between me and the rest of the world. It would become very lonely to be incarcerated inside those walls. Competition. Seeing differences in others prompts us to make value judgments. We constantly evaluate which one of us is better, smarter, richer or stronger. We inevitably compete for superiority. Inferiority. When we notice differences first, we operate from a deeper sense of insecurity and inferiority. The more we compare ourselves with others, the more inadequate we tend to feel. I choose to focus on the major areas of our shared life experiences. I will also notice and celebrate the minor areas of difference where we are diverse and unique. Those differences, when shared, strengthen everyone.